Just before he escapes to Spain for a week, Joost Custers forwards the following news from Belgium. The Gordon team will not race at Donington Park next week, the fourth round of the Le Mans Series, but Jarama should be on their programme in September. Yves Lambert therefore becomes available and will race in the Zolder 24 Hours, with Frank Hahn and Stéphane Lémeret, and the Porsche 911 GT3 Cup will be run with the technical assistance of Hahn’s G-Force. PSI Experience has entered its Corvette C6.R in this weekend’s Paul Ricard round of the FIA GT Championship (preview to come) – for Jean-Phillipe Belloc and Jos Menten. The French / Dutch driver pairing might continue in further FIA GT races this year. They drove this car to fifth place in the Spa 24 Hours. GLPK has the same line-up for the Zolder 24 hours as they had for the Spa FIA event: that is Mollekens / Kumpen / Hezemans / Longin. 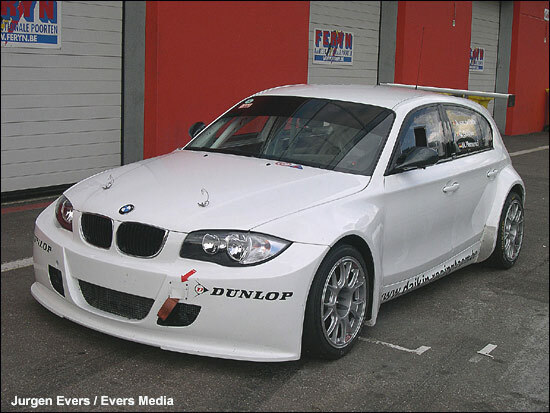 Daikin Racing has entered a Schubert BMW 120d for the Zolder classic: the car is similar to the one (sorry, it is the same one) which raced so well at the Nurburgring 24 Hours (to fifth overall). Alexandra van de Velde and Caroline Grifnée will drive the car, together with (almost certainly) two other ladies.